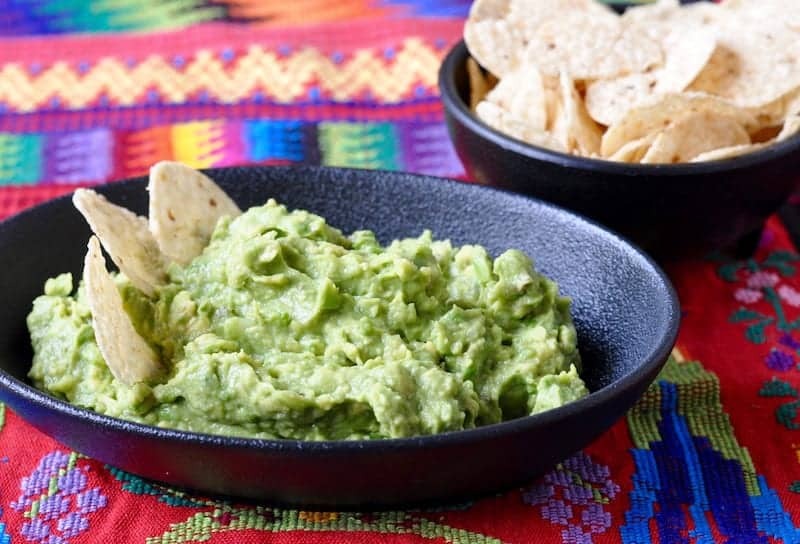 This quick and easy recipe for Guatemalan guacamole featuring ripe avocados is a traditional appetizer and snack throughout Guatemala. It will take you less than five minutes to make and is the perfect appetizer with tortilla chips or as a topping for tacos. My mother-in-law in Zacapa, Guatemala makes a bowl of guacamole fresh before almost every meal. Her simple recipe — which features just a few perfect ingredients — really allows the buttery and slightly sweet flavour of ripe avocado to shine. 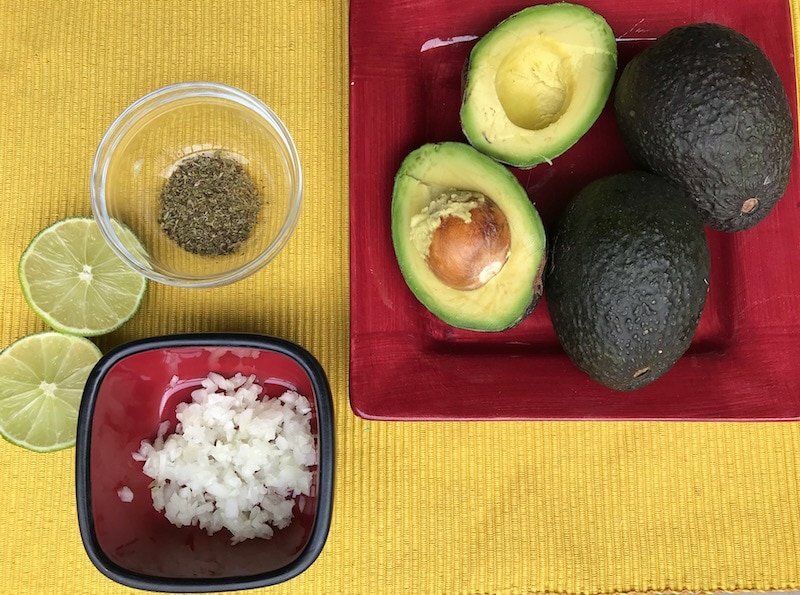 Although she uses a stone molcajete (mortar and pestle) to make her guacamole, you can easily just use a fork and non-metallic bowl to whip some up for yourself at home. You don’t need any special equipment. It literally takes just five minutes! 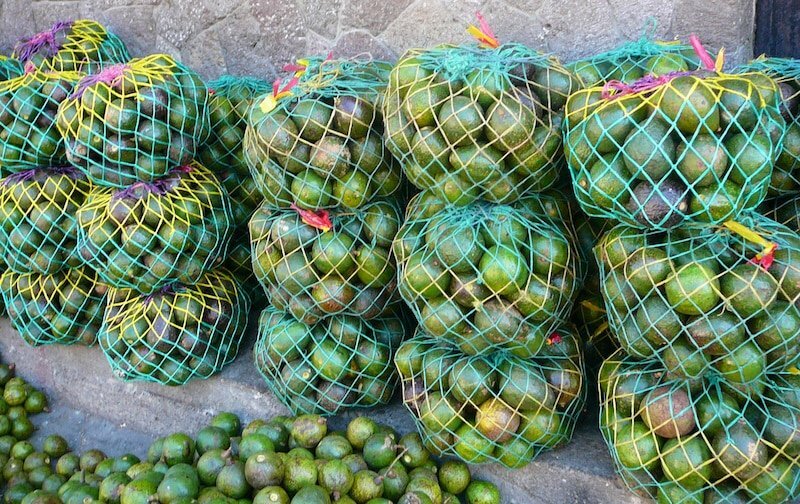 The key to making a perfect Guatemalan guacamole is quality ingredients. Choose avocados that are firm but not mushy. 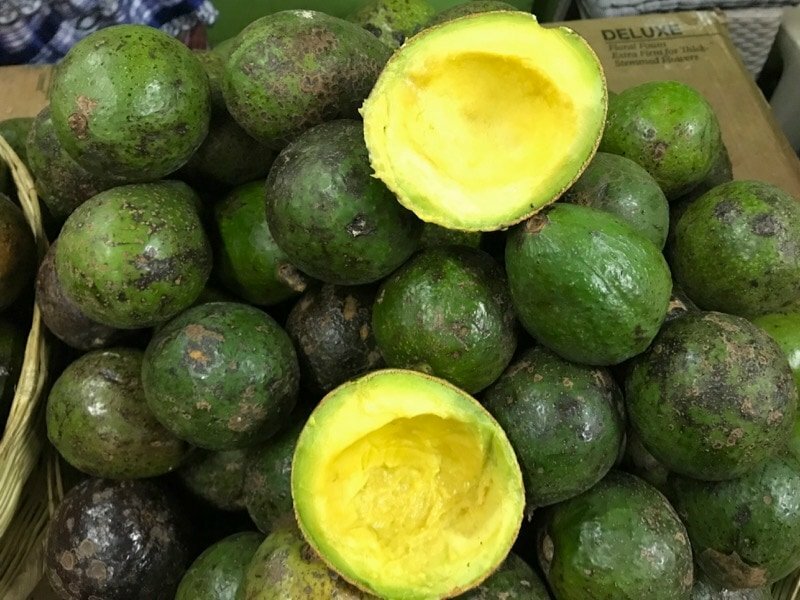 If you’re shopping in a mercado in Mexico or Guatemala, you can ask the vendor to select an avocado “para hoy” and she’ll pick one the perfect ripeness. If you happen to purchase avocados that are too ripe, you can use it in our recipe for Creamy Avocado Salad Dressing. If you’re shopping in a supermarket in the US or Canada, look for Hass type of avocados. Hass avocados are small and dark skinned rather than the large green, glossy avocados. The large ones are used for salads, soups and eaten sliced, as they are too firm and not creamy enough for Guatemalan guacamole. 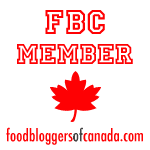 If you cut open an avocado and discover its black or fibrous, discard it. There’s nothing you can do to salvage it and if you add it to your guac you’ll ruin the whole batch. Also try to use Mexican sea salt or, as an alternative, kosher salt. Your best choice of onion is a mild white onion, not yellow (which has too much bite) or red ( which is too mellow). If you can’t find fresh limes, just omit it. Don’t substitute lime concentrate or lemon juice. If you find yourself short of avocados, you can add a few coarsely chopped, seeded tomatoes to make the recipe go further. However, an authentic traditional Guatemalan guacamole does not contain jalapeno peppers, cilantro, parsley or mint. 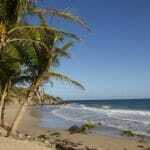 What is the Difference between Mexican and Mediterranean Oregano? 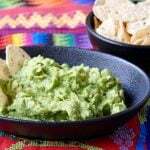 The secret ingredient to a successful Guatemalan guacamole is the addition of dried oregano. Oregano is an important part of an authentic Guatemalan guacamole. 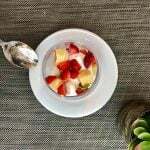 It adds a fresh, grassy depth of flavour. But only use a little so it doesn’t overwhelm the flavour of the avocados. It’s equally important to use the right kind of oregano. Mexican and Guatemalan oregano is a completely different species than Mediterranean oregano. 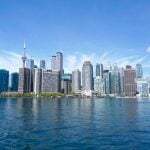 According to the pros at Spice Inc, origanum vulgare or Mediterranean (Greek) oregano is a member of the Lamiaceae (mint) family, while Mexican oregano is Lippia graveolens a member of the Labiatae or verbena family, of which marjoram is also a member. Mexican Oregano is more citrusy than Greek or Mediterranean oregano. This makes it ideal for giving a boost of acidity to guacamole without making it tart. If you don’t have Mexican oregano, you can substitute Greek oregano, just use a little less. Because guacamole is so easy to make, it makes a popular appetizer at parties during Guatemalan festivals and special occasions. If you’re studying Spanish at one of the language schools in La Antigua or in your home country, guacamole is an easy Guatemalan recipe to bring to class. Another popular and very easy Guatemalan appetizer is shrimp ceviche de cameron, served in individual bowls with saltines and hot sauce on the side. But beyond being served with tortilla chips or on tostadas, avocados are so readily available and inexpensive in Guatemala, guacamole (along with frijoles revueltos and queso de Zacapa) is often served at mealtimes and spread on tortillas fresh from the comal. From breakfast to late night snacks, people enjoy avocados as an add-on to everything from albondigas soup to salpicon de res tostadas. Note that there’s usually no “e” when spelling guacamol in Guatemala and Cuba, but I’ve spelled it as guacamole here to avoid confusion! 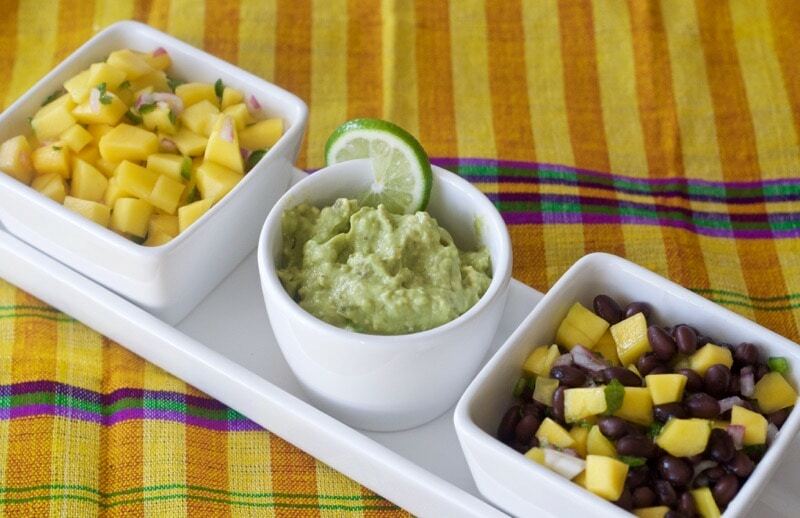 Guacamol and guacamole are exactly the same. 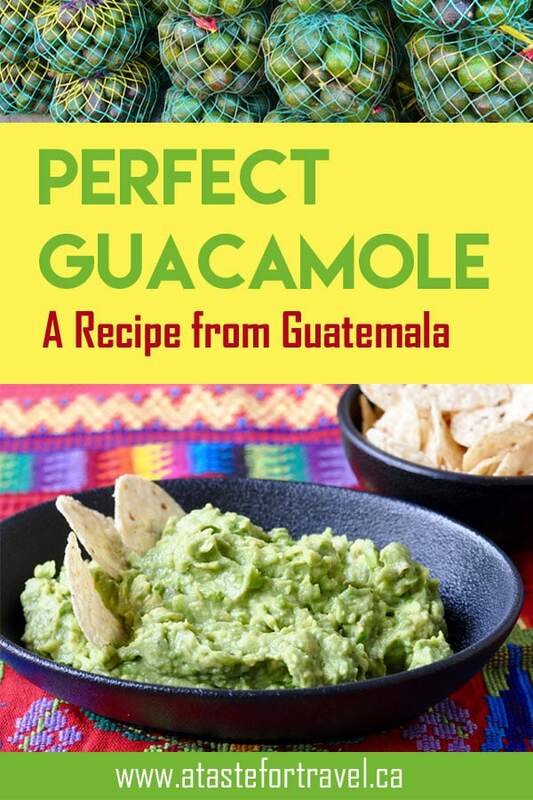 If you try this Guatemalan Guacamole recipe, please be sure to rate the recipe and let me know how the dish turns out in the comments below. I’d love to hear from you! I did not know the difference between types of avocados or oregano, so this is super helpful. It also sounds super delicious.